History is important, I think. 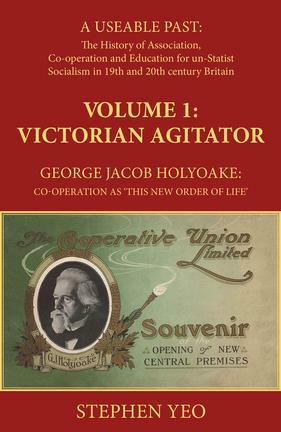 Stephen Yeo, one of our most eminent social historians, has just brought out a new book on the nineteenth century co-operative pioneer George Jacob Holyoake (1817-1906) which I’ve been reading over the past few days in order to review it for Co-op News. Stephen titles his book (the first of a series of three exploring bottom-up co-operation and socialism in the last two centuries) A Useable Past? And that is indeed exactly the motivation which has led him to return to the life and the (very extensive) works of Holyoake. Stephen is suggesting that there is something to be taken from the ‘associationism-socialism’ and moral impulses of Holyoake, and more generally of early co-operation in Britain, which is directly relevant today in rebuilding our radical traditions, particularly in terms of a do-it-yourself, non-statist form of social change. My review has been emailed off to Anthony Murray at Co-op News, and I understand it is likely to appear in the September issue. I’ll tell you here when it is published. This entry was posted in Co-operatives and tagged co-operative history, George Jacob Holyoake. Bookmark the permalink. Is the past useable if it costs £65 per volume (or £49.50 as an e-book)? A pity it couldn’t have been published by your new co-operative! A v interesting review, and well written.